THE GREEN-EYED MONSTERS are on the prowl. 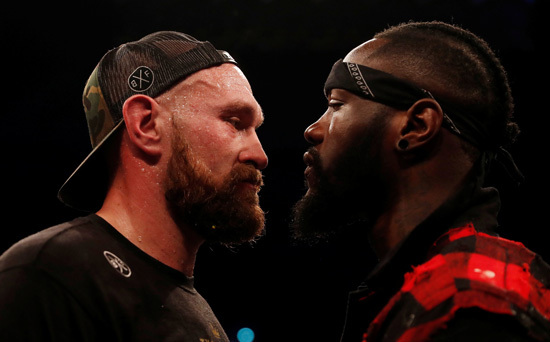 As expected there is some dissing from certain quarters over the upcoming world heavyweight blockbuster between WBC champion Deontay Wilder and Tyson Fury. But don’t listen to those knockers who are grinding their teeth as well as their axes. This fight is definitely, one hundred per cent ON. Tyson himself has dismissed as fake news that he is “baulking” at the idea of fighting the Bronze Bomber on his own patch. He insists the bout will happen. So does Wilder, and so do I.
. Unsurprisingly it is Hearn, Anthony Joshua’s promoter, who has been sowing the seeds of doubt about the fight, suggesting that “anything can happen” and the Gypsy King is “so far from fighting Deontay Wilder”. And the American boxing writer Dan Rafael, who mistakenly reckons he is always in the know, claims a member of Tyson’s management team told the lineal champ is ‘baulking’ at the prospect because he felt he needed another fight first. Rubbish. Or a stronger word beginning with B to that effect. Tyson is self-managed and hasn’t spoken to Rafael or anyone else as he has been away on a cruise. But as soon as he got back and heard the rumours he put his fist right through them. “Just a quick update, I’ve been reading and I’ve heard some rumours that this fight is off with me and Wilder,” he said on social media. I think that rather than scoffing at a fight they would love to have made, Hearn should be more concerned about putting bums on seats for the ho-hum heavyweight fight between Joshua and Alexander Povetkin which apparently is not going too well ticket-wise. I know that plenty of seats are still available and are being given away in competitions and suchlike. At the moment it seems that Wembley Stadium will be liberally ‘papered’ as we say in the game. It doesn’t help, either, that Ticketmaster have closed their secondary marketing sites, either. Believe me, Tyson is in a good place right now, brimming with self-belief and raring to go, confident that he can remove the most meaningful of the world heavyweight crowns from the head of a fearsome opponent whom Joshua and his management team most definitely have baulked at fighting. 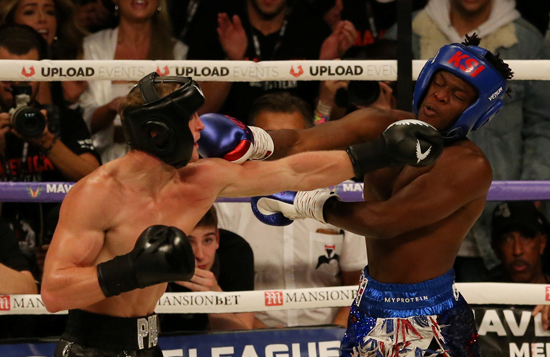 IT SHOWS THE pulling power YouTube has among gamers and young people that the fist fight between KSI and Logan Paul was such a huge financial success. The rival YouTubers did well for a couple of out-and-out novices in what years ago would have simply been labelled Unlicensed Boxing. It is all set for an even more lucrative return as the result was a draw. What a surprise! But for the genuine, dyed-in-the-wool fight fans the rest of the year is compelling on orthodox pay-per-view. Pick of the big fights on offer is the trio we have secured, all of which will be shown live on BT. First up on September 15 is the lick-lipping reprise between the world’s two premier fighters. Gennady Golovkin and Canelo Alvarez, followed by, on dates to be confirmed, Wilder v Fury and then potentially the best British domestic dust-up for years between Carl Frampton and Josh Warrington. The last one features two Brits in their prime and at their peak, unlike Amir Khan and Kell Brook who are both coming off big losses. All these fights are real, not gimmicks in gloves; they are also certain to have the fans on the edge of their seats either at home or in arenas that are genuinely sold out.